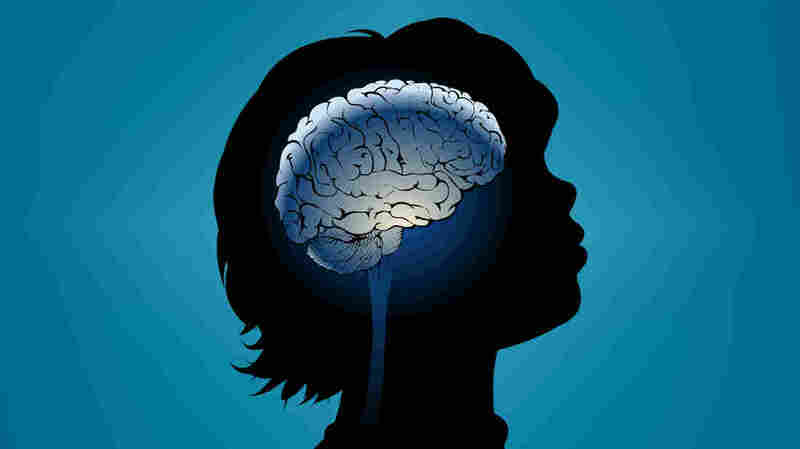 Brain Changes Suggest Autism Starts In The Womb : Shots - Health News The organization of certain brain cells in children with autism seems already different from that of typical children by the sixth or seventh month of fetal development, a study hints. Organization of the cortex begins in the second trimester of pregnancy. "So something must have gone wrong at or before that time," says Eric Courchesne, an author of the paper and director of the Autism Center of Excellence at the University of California, San Diego. The study grew out of research by Courchesne on development of the cortex in children with autism. In typical kids, the cortex is "like a layer cake," he says. "There are six layers, one on top of the other, and in each layer there are different types of brain cells." In the brain tissue from typical children, the cortex had six distinct layers, each made up of a specific type of cell. But in the children with autism, "there are patches in which specific cells in specific layers seem to be missing," Courchesne says. So instead of distinct layers, there are disorganized collections of brain cells. And finding that the damage isn't everywhere suggests how a child's brain might compensate by rewiring to avoid the trouble spots, Courchesne says. "That's one of our guesses about how it is that autistic children, with treatment, very commonly get better," he says. Can Autism Be An Asset? And it adds to the already considerable evidence that autism starts in the womb, says Dr. Stanley Nelson, a geneticist at UCLA. "The overwhelming set of data is that the problems are existing during brain development, probably as an embryo or fetus," he says. But some of the new study's findings are surprising and even a bit perplexing, Nelson says. For example, it's odd that only certain bits of brain tissue contain these disorganized cells. "Why is the whole cortex not disorganized?" he says. It's also odd that 10 of the 11 children with autism had the same sort of disorganized patches of cortex, Nelson says. That's not what you would expect with a disorder known to involve many different genes, presumably affecting many different aspects of brain development. So he'd like to know what researchers would find if they looked at hundreds of brains instead of just a few. "What fraction of all the kids with autism are going to have these small patches?" he says. "I think the jury's out on that." Nelson is right that there's no clear answer yet, says Ed Lein, one of the paper's authors and an investigator at the Allen Institute for Brain Science in Seattle. But it's possible that many different combinations of genes involved in autism could lead to the same patches of disorganization in the layers of cortex. Finding out whether that's the case will be difficult because there is a shortage of brains from children available to researchers. Parents of children who die — with and without autism — rarely agree to donate their child's brain to science. Scientific and advocacy groups are trying to change that with a program that informs families about tissue donation and a website that encourages people with autism and their families to get involved in research projects.